We all are story tellers, aren’t we? What else would you call the way we cook up stories when we want to lie, when we manage to create imaginary characters just to please our children, when we write essays and autobiographies in schools or better still manage to grab the attention at get-togethers as we go about narrating simple day-to-day incidents with a panache that has everybody hooked! My first experience with a real story was the day I had asked my mom the eternal question – Mamma, where did I come from? And my mom very lovingly placed me on her lap to narrate a story which began with the usual Once upon a time. I clearly remember I had asked my mom to narrate this one so many times to me that I had lost count. I loved the part where she said “And we got you home!” I just loved the joy that one sentence carried. Perhaps that was the moment I fell in love with stories and with happy endings too! As I grew up my mother introduced me to reading, Cinderella being my first book ever. Since then the appetite for books has just increased. She thought she is taming a hyper active child but actually books only became one more activity for me as I literally gulped them down. Slowly as the characters begin to come to life and the story begins to take shape all the noises begin to drown in the background and all that can be heard is the rustling of pages along with my pacing heart beats. 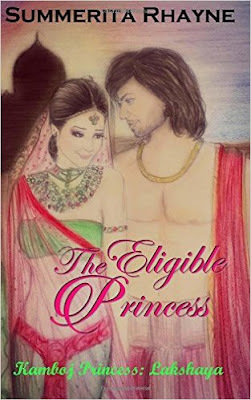 King Kartikeya must marry a princess. He's determined to do anything to keep the kingdom that he has taken with strategy and sheer guts. If that involves charming a princess into marriage, then so be it. Princess Lakshaya infinitely prefers the study of her scientific experiments to the learning of the arts of impressing a suitor. In fact, she would rather have no more proposals at all. But refusing a king as opulent as Kartik is out of question. Drawn against her will by the force of his attraction, she begins to accept him, only to discover hidden secrets along the way. Can she bring herself to go ahead with this marriage? This was such a beautiful post! Loved reading about how you got introduced to the world of books. We have many similar choices in books. And that's such a wonderful thing. 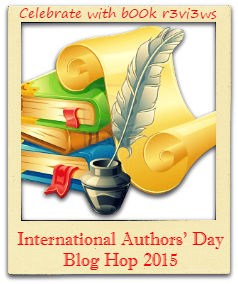 Happy International Author's Day dear. Happy International Author's Day to you too dear! Cinderella is a great place to start, smart mom! Very true Maria, I agree. Thank you so much for stopping by! King Kartikeya--is that also the name of a character from the Vedas? Tell me more, please. Yes He is also a God who is worshipped in some parts of India. The Metro diaries wand-wielder. You've nailed it again! Happy IAD! Thank you Kritika, same to you! We learn so much through reading. It's amazing what stories can do! Same here Nancy, thanks so much for stopping by!